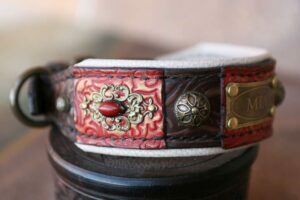 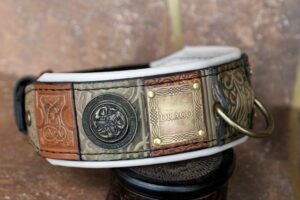 Designing personalized dog collars and harnesses is our specialty at Workshop Sauri. 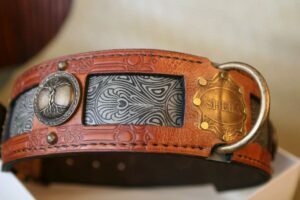 To our opinion a personalized dog collar should not be just another plain collar wearing a dog ID tag (we do not diminish this practical side of dog’s name plates). 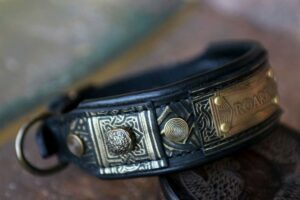 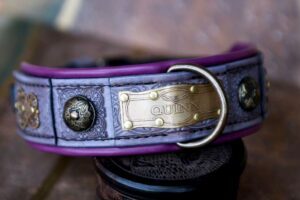 Moreover it should represent your dog’s unique character and this is where Sauri hand crafting magic begins! 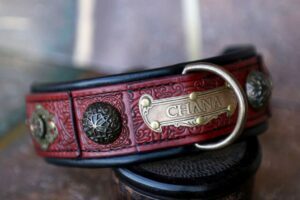 Give it a try and contact us! 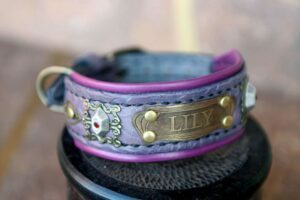 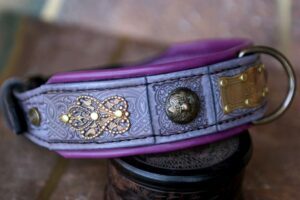 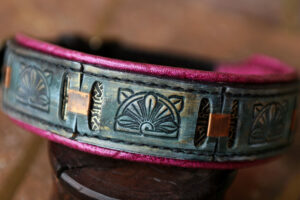 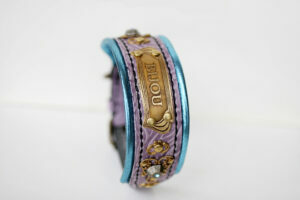 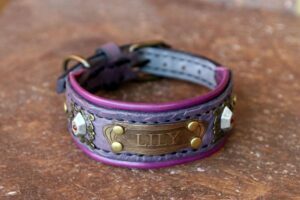 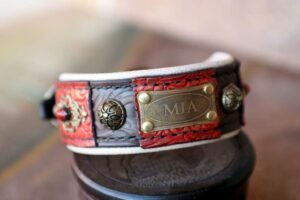 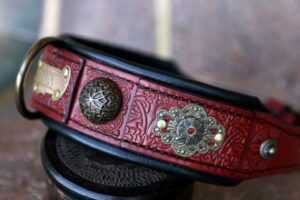 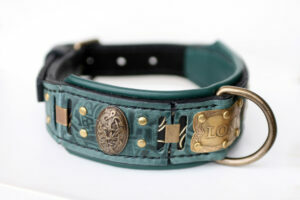 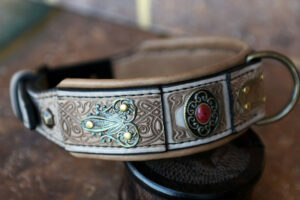 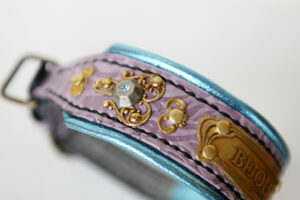 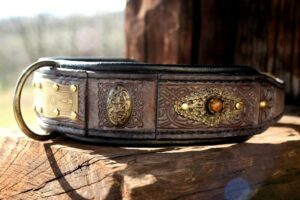 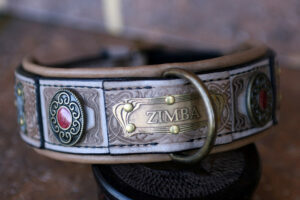 We would love to see your dog and create a ultimately special dog collar for your furry friend. 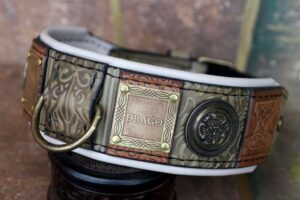 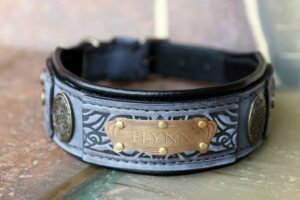 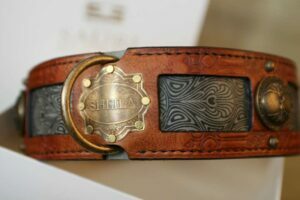 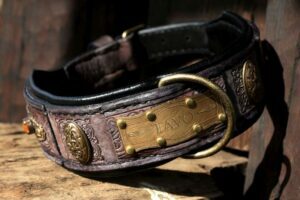 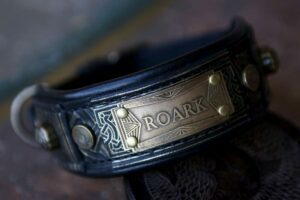 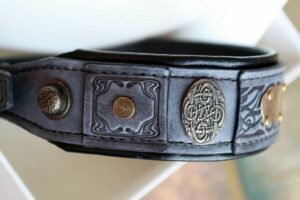 We also recommend our strong leather harnesses, embossed leather and riveted harnesses – with dog’s name plate, your kennel’s name plate or with the kennel’s unique logo engraved to a copper or brass plate. 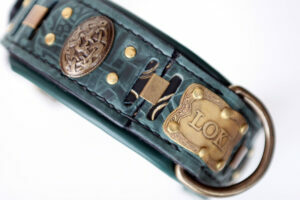 If you are a breeder, have a kennel but don’t have a logo, we can create one for you.